Massachussetts just came a little closer to West Africa. A whole village of percussion at his limbs, hartigan wrote the book on African drumming. 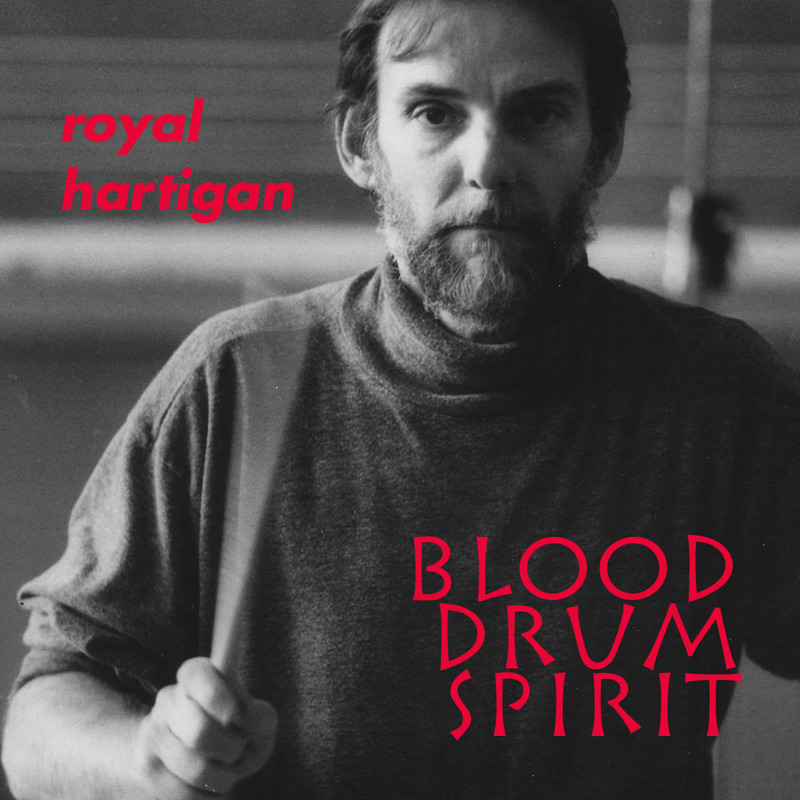 Leader Royal Hartigan ranks among the absolute greatest of contemporary percussionists. Thoroughly familiar with nearly the entire scope of world drumming and percussion musics--everything from Native American, to East Asian, to South Pacific, to West African, to South Indian--Hartigan has found a group of players entirely sympathetic to his massive world music canvas and produced a landmark disk. Of course, it helps that he has spent a lifetime studying and playing everything from bebop to funk to blues to gospel to reggae to hip-hop to African to Afro-Latin styles. Seeking to situate a varity of native percussive musics in their natural state, yet overlain with a sophisticated jazz-world vibe, Hartigan has produced a disc of uncanny depth and spirituality. Weilding a startling variety of percussion instruments, including drums, cymbals, rattles, gankogui, axatse, dondo, kulintang, babandir, agung, and dabakan, Hartigan weaves a thoroughly mesmeric sound signature, which his playing mates--Kevin McNeal (guitar), David Bindman (tenor and alto sax, flute, clarinet), and Wes Brown (contrabass)--completely lock into. Listen. This is one of the, if not THE, greatest music discoveries I've ever made. If you have even the slightest affinity for hip, sophisticated world-jazz, you MUST listen to this unbelievably transcendent music. Hartigan is a great drummer and band leader. Prior to recording this he had spent about ten years studying ethnomusicology at Wesleyan and, more importantly, in his own words, investigating "with Master Artists, into the percussion traditions of West Africa, South India, Java, Sumatra, Philippines, China, Japan, Ireland, Persia, Turkey, Brazil, Dominican Republic, Haiti, Native America, and the African-American Diaspora" (Quoted from his on-line resume). What is really amazing is not only how he has mastered and incorporated all of the traditional drums into his drum kit but also how he has brought that knowledge of traditional non-Western drum traditions and put it to use within the context of jazz drumming. He actually wrote the book on it (See the Amazon listings for Hartigan's drum textbooks). So Jan is right when he says that Hartigans work is a true world jazz. But since I come from a different earset than Jan I contextualize what I hear differently. Where Jan hears world jazz I hear straight ahead post-bop. One of the things that most strikes me about this CD is the work on David Bindman on the wind instruments and Kevin McNeal on the guitar. McNeal had worked with Greg Osby and the M-Base collective before this recording. Bindman is a member of the Brooklyn Sax Quartet and has played with Kevin Norton, Joe Fonda, Wadada Leo Smith and Anthony Braxton. So in both cases, you expect to hear modernist music. And you do but I swear to you that when they are feeling soulful that Bindman sounds like Stanley Turrentine and McNeal like early George Benson. Sometimes this CD reminds me of a CTI date without all the hideous overproduction. Other times it sounds as thoughtful as 60s Wayne Shorter. And behind it all is that vastly powerful universal drum experiment that is Hartigan. In short this is the sort of powerful straight ahead jazz CD that makes people like me love jazz.